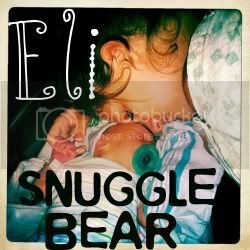 Snuggle Bear Eli: One love. Love is not only a word, but a certain thing I try everyday to live by. I may have never known the true meaning of this warm strong word, if it wasn't for Jesus. As silly as it may sound, Jesus was the one who showed me love when everyone else had turned their cheek to me. My parents had divorced, my family didn't believe in me, it was just me and the little peanut inside my stomach vs. the world. Jesus forgave me. He gave me the strength to stand up against everyone that didn't believe I could. He gave me the knowledge to not only forgive those who have broken me, but to hope and pray for the best for them. He loved me when no one else was around. He listens to the sound of Eli's laughter with me and watches him as he grows. 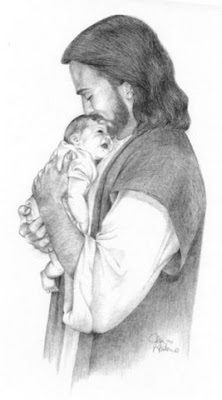 I read in the bible the other day that..
As my memories begin to fade of the way Eli breastfeeds, and the sound of his babbling... God will never forget each precious move he has ever made. That really touched me. Eli will always have a father. That's all I ever wanted. Love. To be loved. and To love.